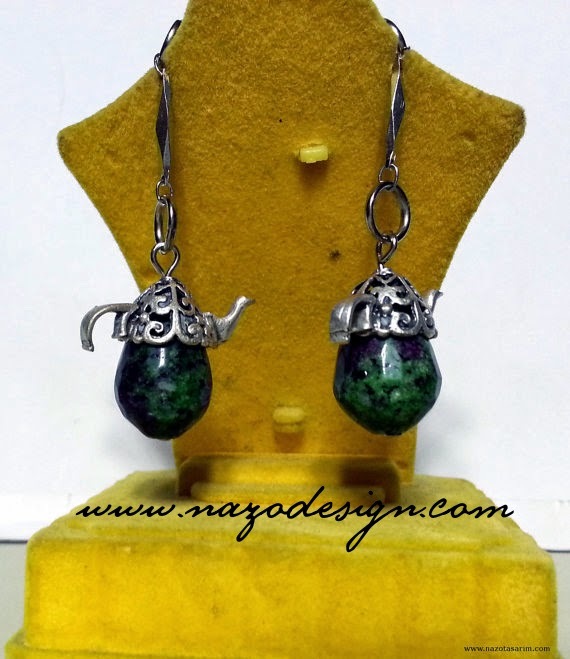 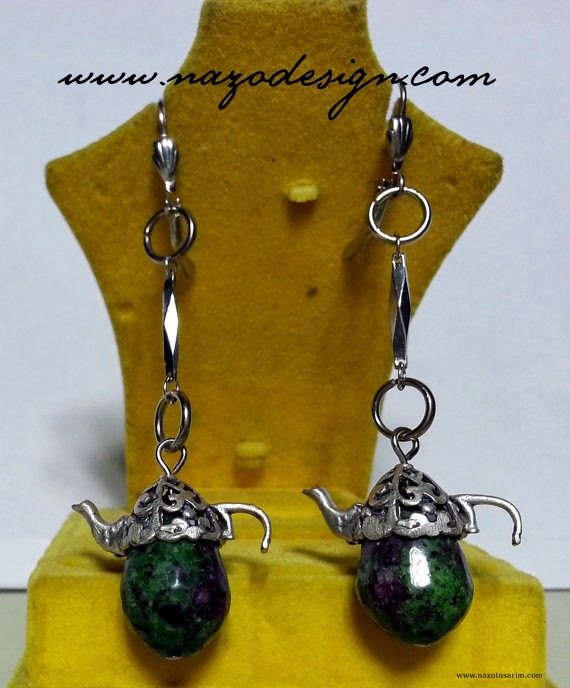 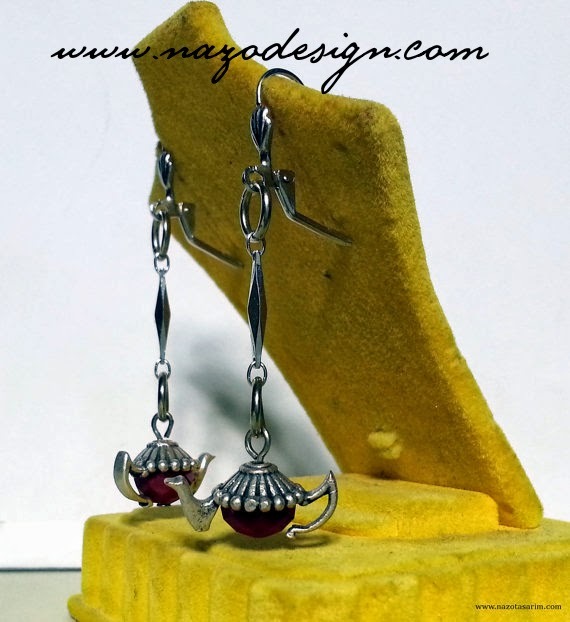 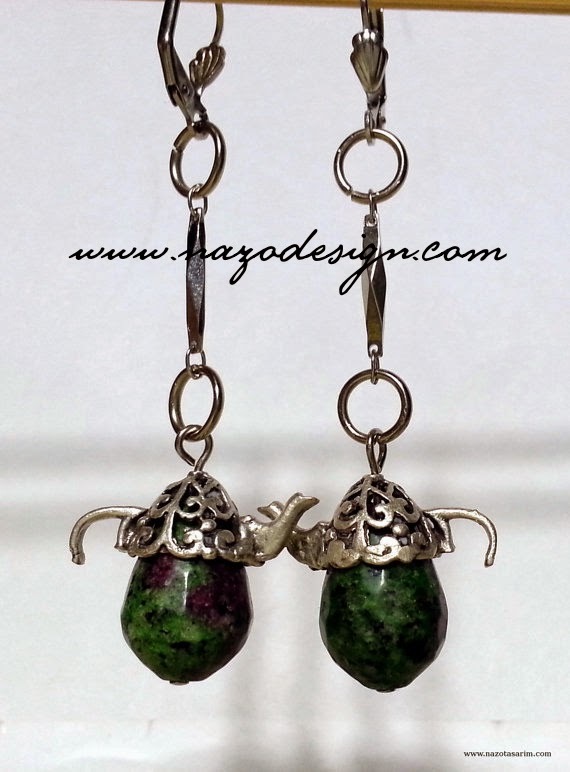 Teapot Earrings in Sterling silver-plated with Jade . 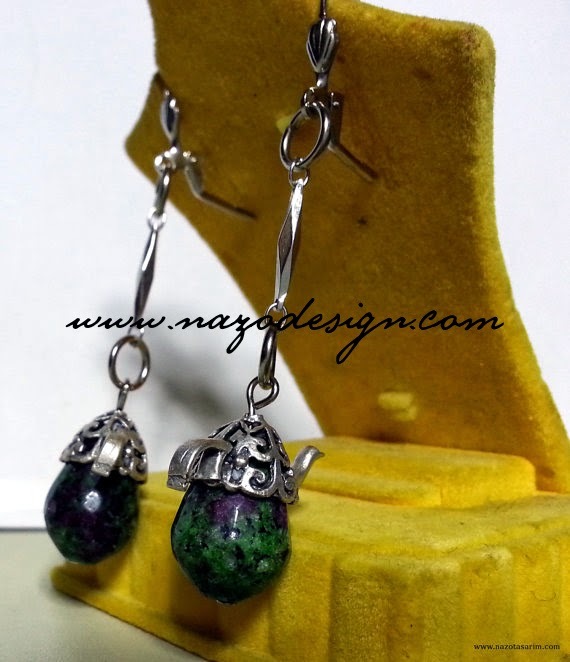 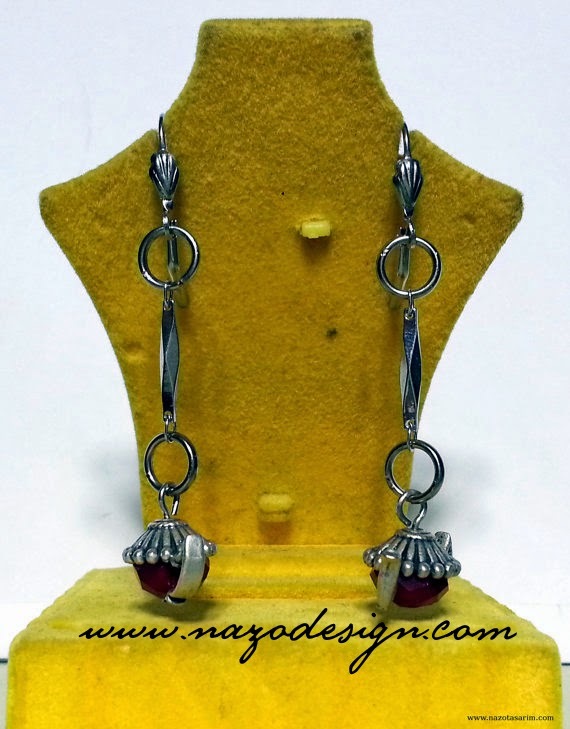 The earrings dangle a total of 2 inches, on a hypo-allergenic surgical steel fish hook ear wire. 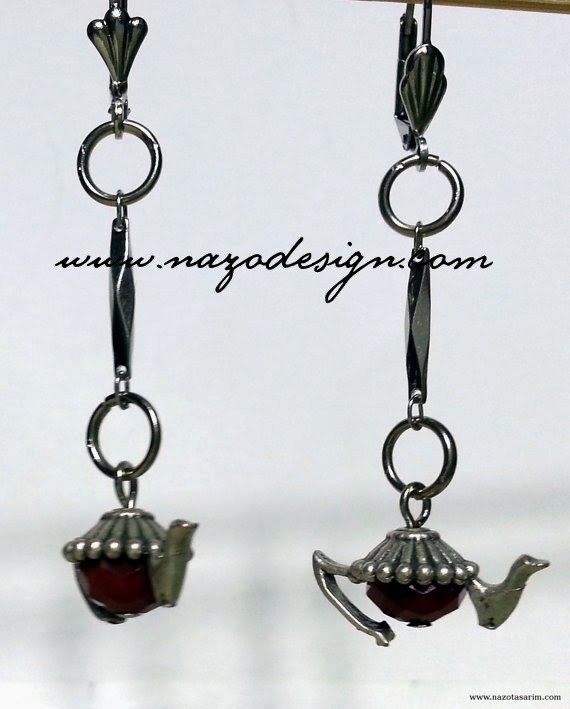 The body of the teapot is a 12 mm red glass pearl. 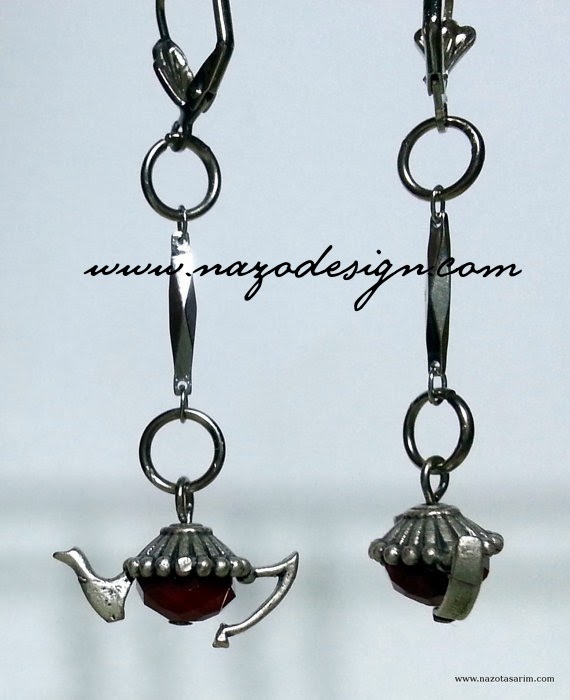 These playful earrings are an average weight, and not overly long, which makes them perfect for every day wear.